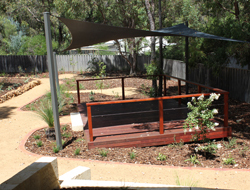 This large garden needed some functionality and pathways to access throughout. The client here often works from home too, with his office overlooking the rear garden. Coffee rock battered banks around the house were replaced with low limestone terraces to match with the limestone look of the house and make this area able to be gardened efficiently. 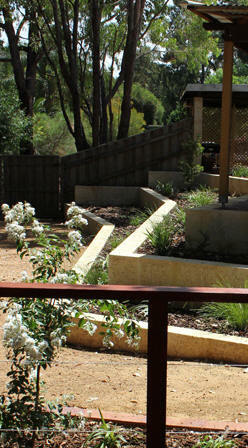 We were also able to reuse all the recovered stone in low garden walls throughout the garden. 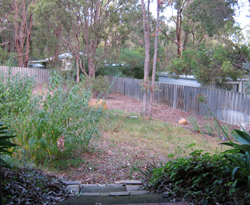 Compacted road-gravel forms the paths that snake throughout the garden make access easy for walking or by wheelbarrow. 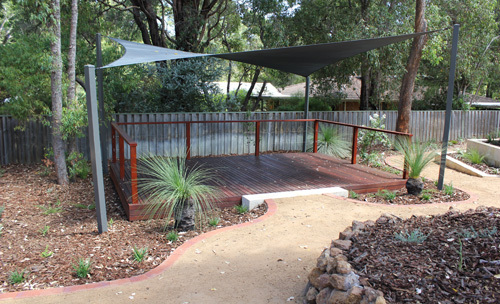 A jarrah timber deck with shadesail provides a great place to sit and entertain in the garden, and the shadesail gives some protection from hot midday sun. 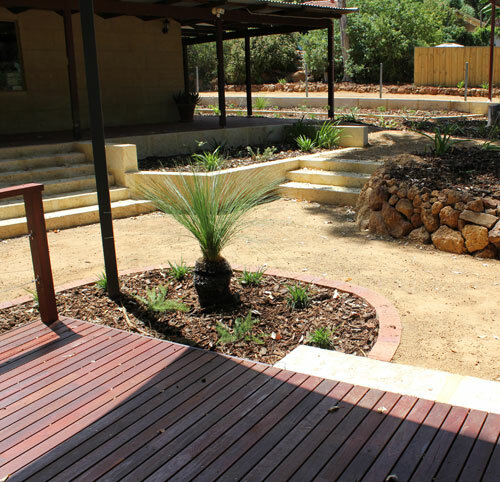 The planting includes many flowering native trees and shrubs as well as many deciduous trees to give some real seasonality with Autumn colour and seasonal flowering.